SEPARATE TRAYS FOR EASY SERVING - Easily remove each smaller tray and pass around the table - no need for passing clunky trays around a crowded surface! 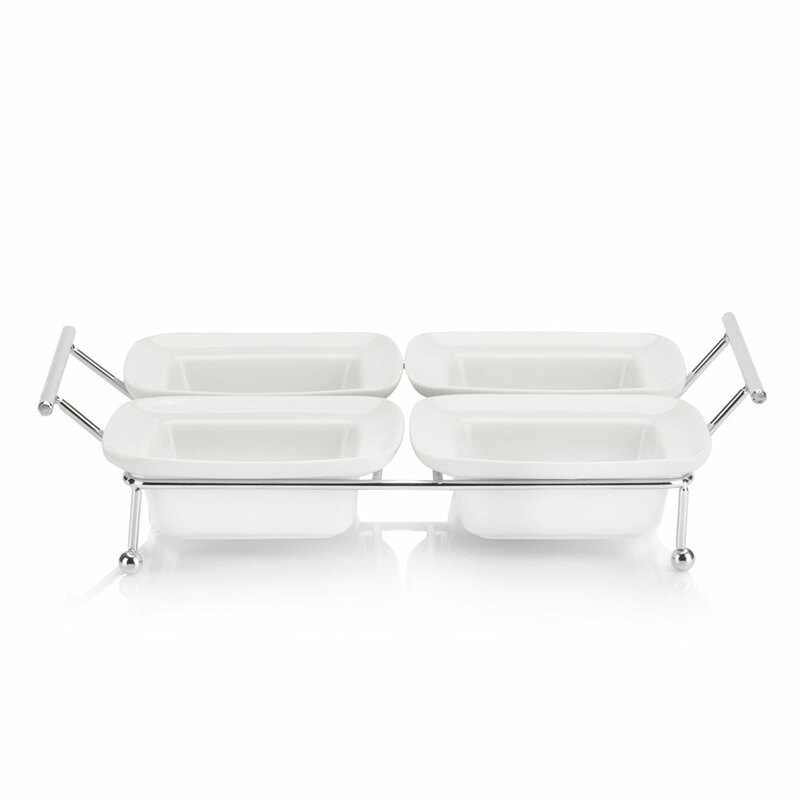 Perfect for serving butter, condiments, desserts, salad toppings, and smaller side dishes. SERVE DIPS, CONDIMENTS, CANDY, SNACKS - Serve anything you can think of, from cookies, chips and nuts to cheeses, sauces, and fruit! 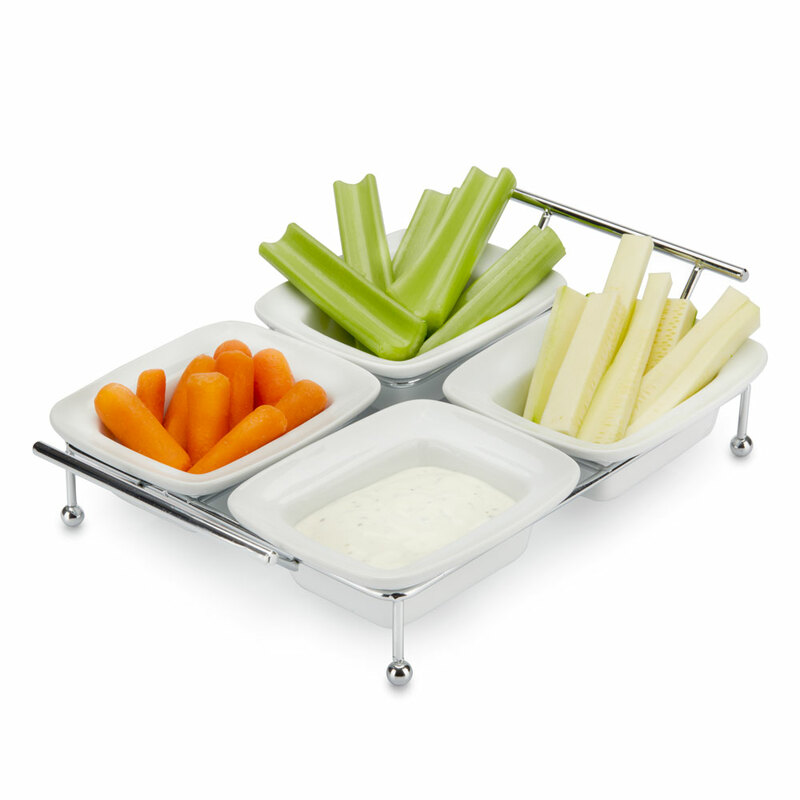 This tray set is truly versatile, perfect for serving at any occasion or meal. 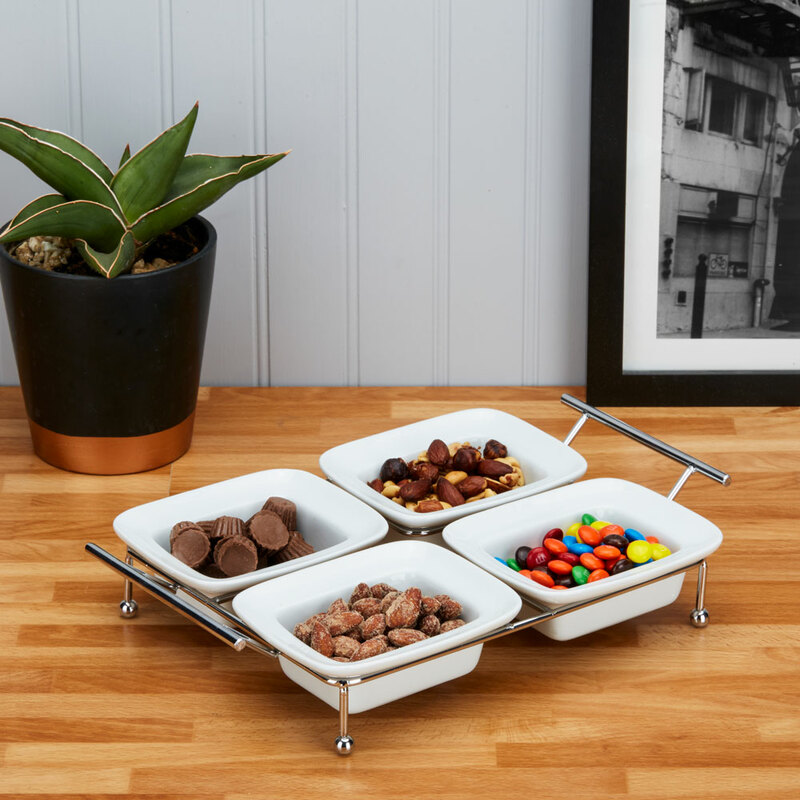 DISHWASHER SAFE CERAMIC - Quickly wash these trays in the dishwasher - no need to worry about adding a step to your kitchen routine! SLEEK, ELEGANT LOOK - The white ceramic & stainless steel frame and handles give a simple yet elegant feel, fitting in with any kitchen & dining room decor - from casual everyday, to a beautiful Christmas or Thanksgiving meal. STAINLESS STEEL HANDLES FOR EASY TRANSPORT - Moving the entire tray caddy is easy as well! Two handles on the sides let you quickly move your party platters with no mess or awkward tilting. 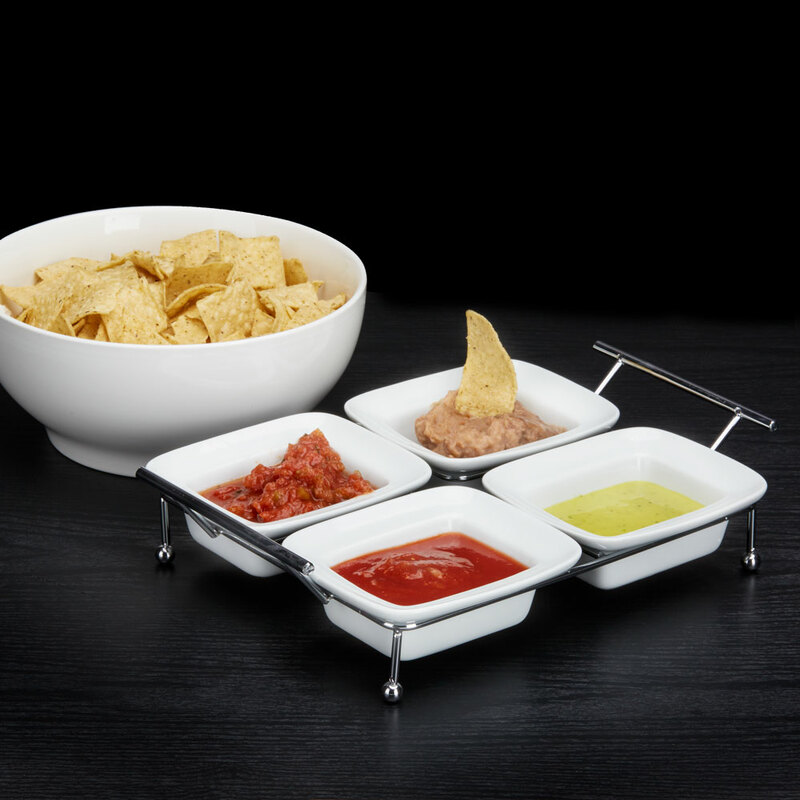 This versatile serving platter has 4 separate ceramic plates that can be removed and passed around - perfect for placing condiments, butter, spices, or anything else that goes with your meal! Instead of moving a large, clunky tray around a crowded table, just pass the smaller plates that can be held in one hand and placed back into the main tray easily! 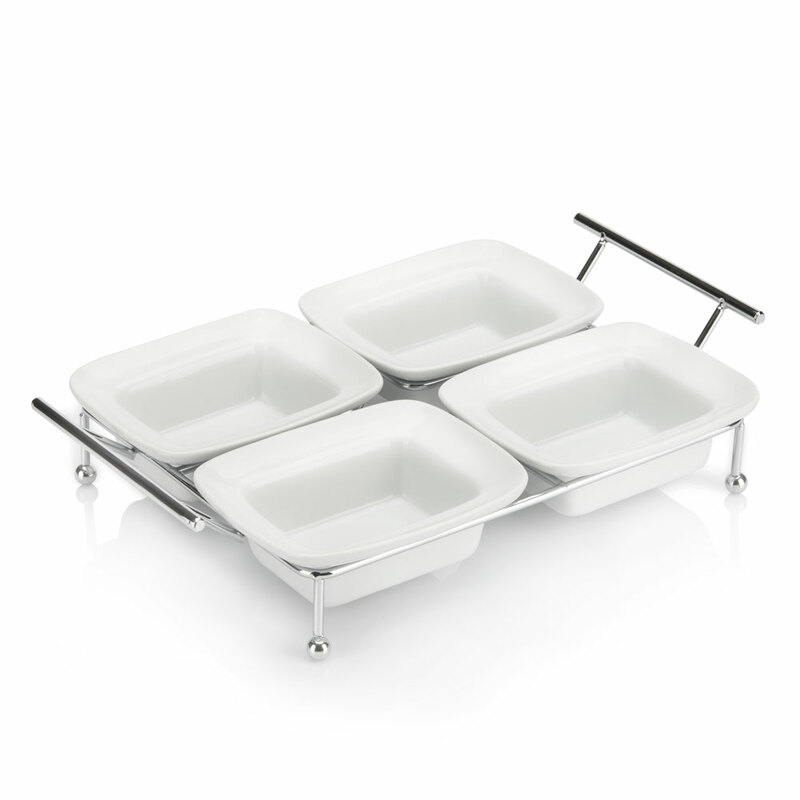 Or, move the entire tray at once with easy-to-grab handles that keep your food steady.